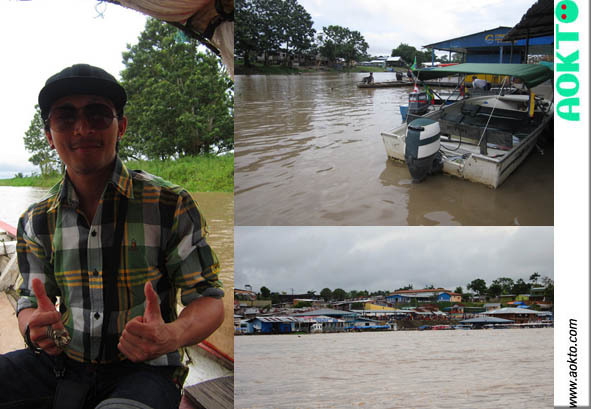 I had always wanted to make this trip to travel along the Amazon river, but I knew that I was on a majorly tight budget. So I decided just to travel at the tri- national frontier region (the border between Colombia, Peru and Brazil) of the Amazon basin. This was my first time seeing the Amazon river, The second longest river in the world second only to the Nile river of Africa. 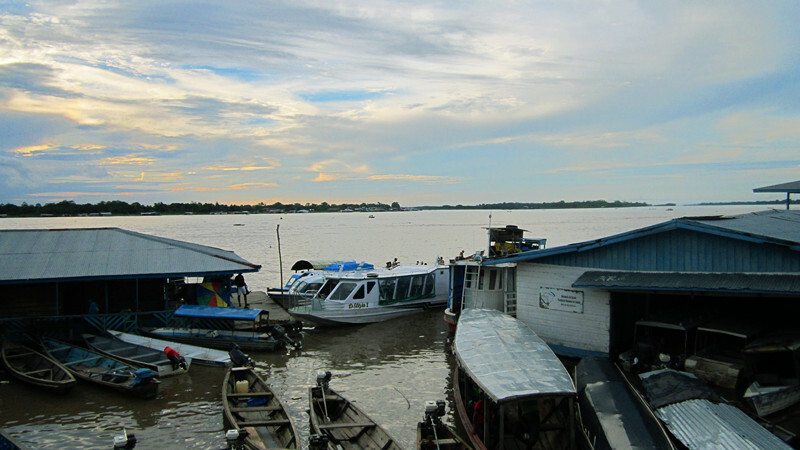 I was here for 10 days just to get away from the crowded city and see how local people live in this Amazon basin. 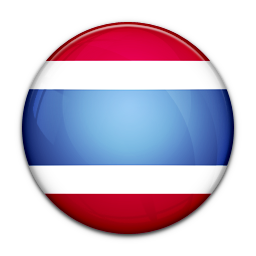 First I decided to be in caribbean coast but then I started to think that I've seen a lots of beaches In Thailand. What's the point of going to the caribean ? apart from playing in the sand, tanning, picnic, sport, walking around half naked and listening to the waves crash . I did that every month when I was in Thailand. That's why I had chosen to explore things I've never seen In life. Let me tell you a bit of the Amazon river. As we know it originates in the Andes mountains in Peru near to the Pacific Ocean and after traversing the entire length of the South American continent flows in to the Atlantic Ocean and bla bla bla ... for more info please "google". 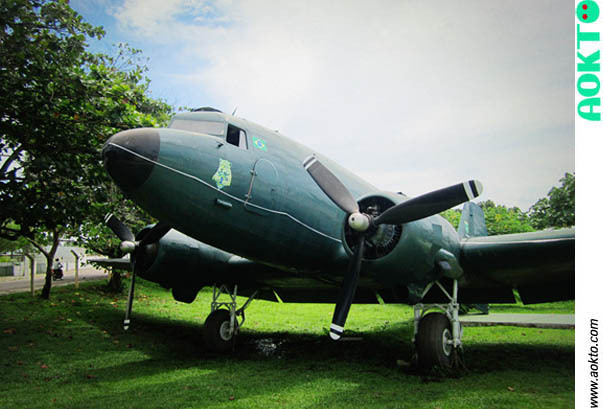 Going to this tri-frontier region can be made by plane or boat only. I have never seen anyone walk through the forest from Peru,Brazi or Colombia to this place but If you've seen before somewhere, please let me know. There's no border control and It's very easy to walk or take a taxi across and spend some time in Brazi or Peru with completely different cultures. Although these countries share an open border but It doesn't make thier cultures even less than the others. People still speak the different languages. 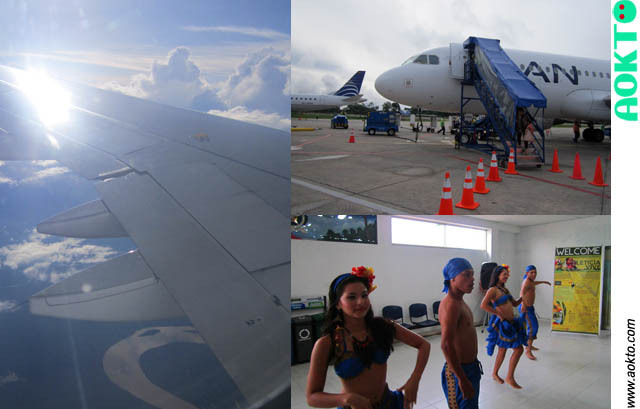 This trip I took a plane from Bogota to Leticia and was charged a compulsory by an airport around 15-20 USD. I coundn't remember very well but It was a lot though. 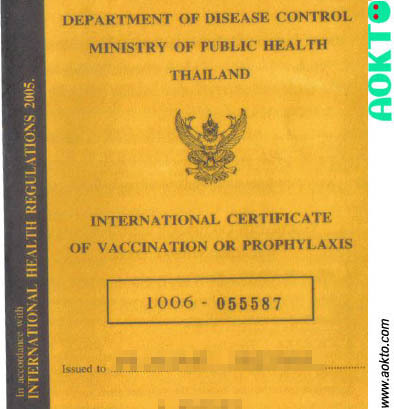 The important thing you should have Is the yellow fever certificate but I never needed any certificate to get across the border. but just to protect yourself not to get that flu only. I suggest you to do It because the yellow fever vaccine will protect against yellow fever for at least 10 years. I think it's worth doing even you don't need it for official purposes. This is the one I did in Thailand. Don't forget to check the weather forecast before coming here. If heavy rains are falling in the area. ditches and low spots maybe quickly flood. In the colombian side , there are many activities to do, If you are interested to see the pink dolphins. 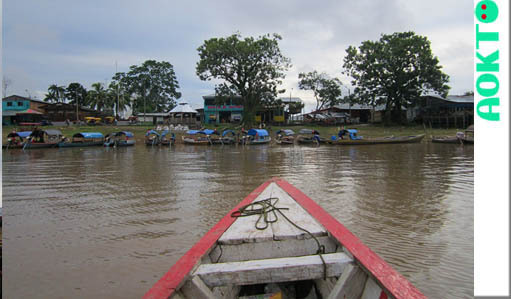 You can take a boat to puerto nariño. 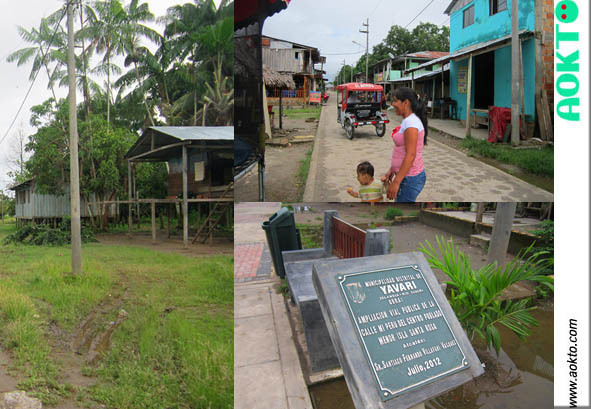 This tri- national frontier region used to be a strategic poin in the drug trafficker's network, to smuggle drugs to neighboring countries, but not anymore. Because the goverment came here to cracked down on drug mafia since many years ago. So I walked a long way to find a hostel by myself. (from the picture with the blue roof is the airport where I arrived) The street was wet because of a heavy rain an hour ago. 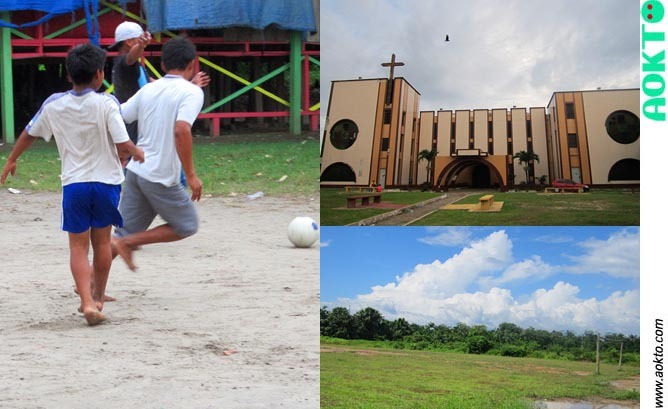 First thing I saw on the way was the church In leticia. This used to be white until they painted to be this color. It took me a half an hour to walk but It was a bit fun because I love walking. 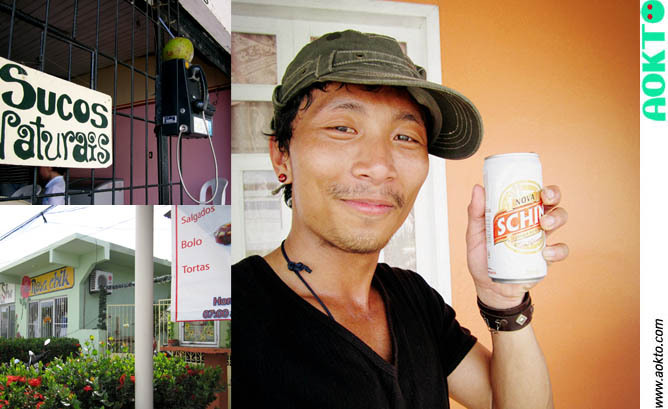 After a couple of hours, I found a hostel but didn't like it much. Because I was so tried to carry a big bag so I decided to stay just for one night by dropping my my bag there and headed to find more nicer hostel to stay the next day. 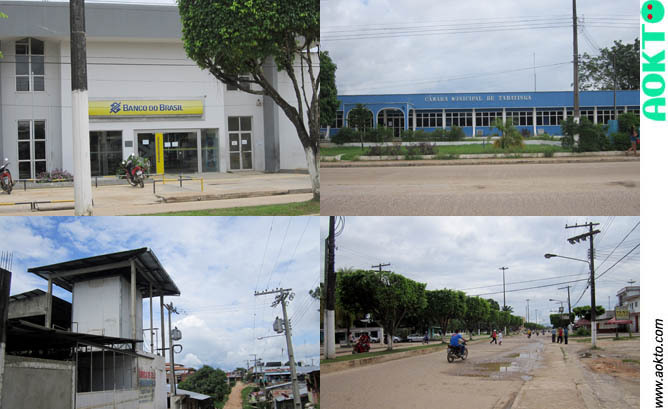 Tabatinga is the largest town of the triple border area. with almost 50,000 inhabitants, while Leticia has like 40,000. 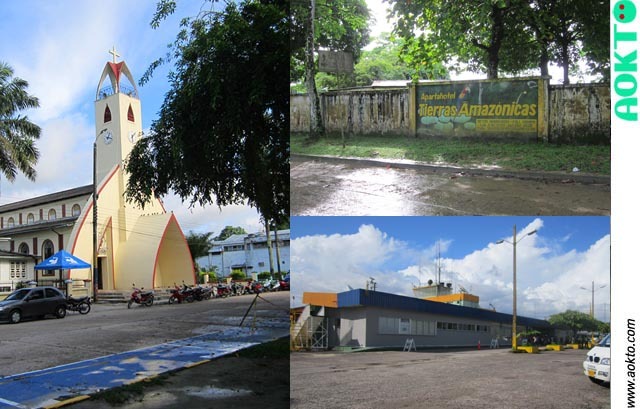 The tourism In Leticia has developed more than 2 other neighbors. It's more famous , cleaner, and safer. I felt less safe walking In Tabatinga alone. 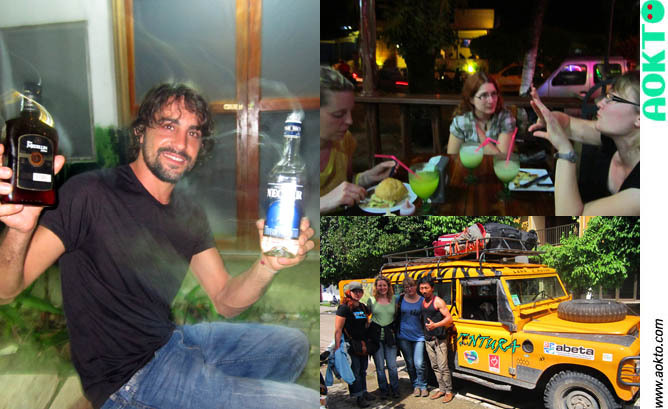 The nightlife here is also something interesting, you can choose both side to party but I prefered In Leticia. Overall depends on what you like whether salsa or zamba. It seemed to be crowded with motorcycles during the day time and even night time. Not many interesting things to do for me In Leticia.I was looking for a swimming pool but there were only two places In the hotel or In the Amazon river(because I saw kids swam there) apart from this activity , Nothing interesting to do more than reading books at the hostel and go to gym(there are 2 places In Tabatinga and Leticia). Well, my real point was to come and see the Amazon river, Like I told you If you want to get away from the crowded city , this might be the best answer for you. To get around the city , If you want to expereicne a motocycle taxi you can do It. But It's not necessary. Because by foot, you can get to anywhere you like. 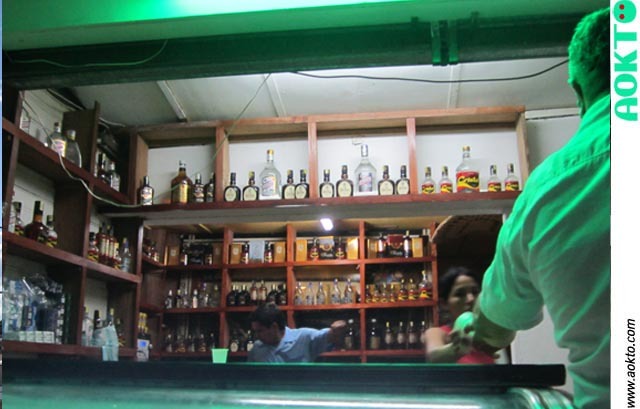 Some places accept pesos In Tabatinga, but taking pesos with you is better because colombian pesos are accepted In many hotels and most shops. 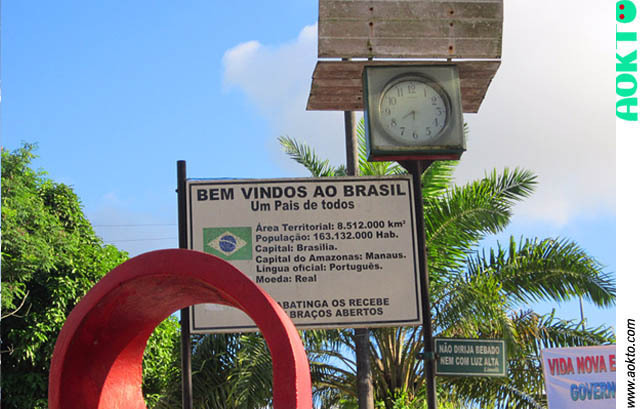 And now let's move on to Tabatinga In Brazil, I felt that even though there were a lot of activities to do In Leticia but I spent most of fun time In Tabatinga. 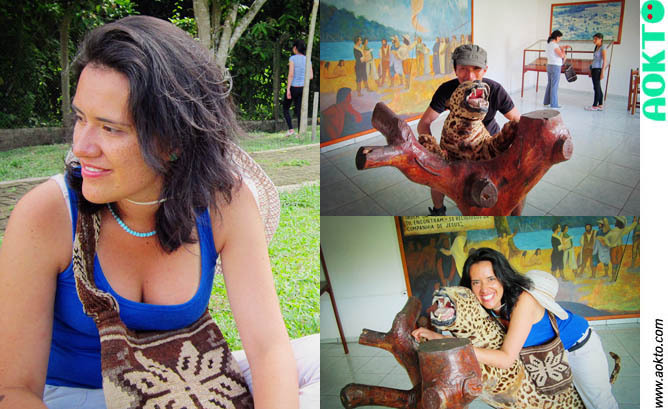 You can't deny that the Most well known and feared creature on Amazon Is the giant Anacona. I had such a good memory not only taking a picture of it but also took a picture with him. It was such a memory for me and was very fun. Unfortunately, I coudn't find any piranha to take a picture with. There was a myth about the Amazon pink dolphins, when the sun goes down, they morp into handsome young men dressed In all white. They come ashore for the purpose of seducing the wives young girls and impregnate them. Before the sun comes up, they turn back into dolphins. I believed that the myth just kept local people from intentionally killing them. The myth is now dissapearing little by little because the modern technology and Internet that have already reached to this area. 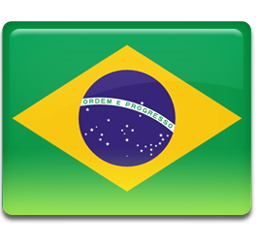 The first step when you walk to this land, you will immediately know that you are In Brazil because you will see football everywhere. 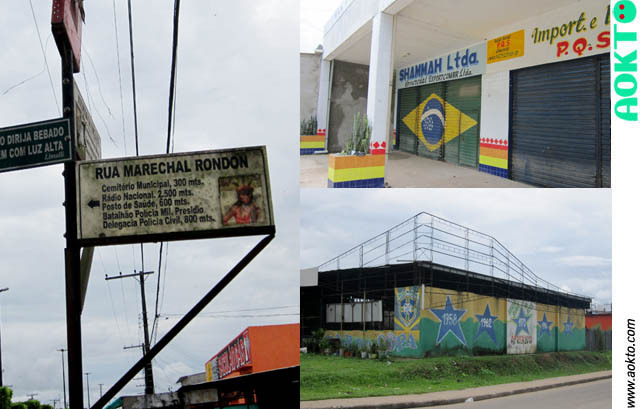 On the street you will find some souvenir shops and you will definitely hear Brazilian music which quite fascinated me. Also everything is written In Portuguese. I was wandering around the town and tried some local food here. This brazilian beer was really tasty. In Tabatinga there is a small zoon run by the army. 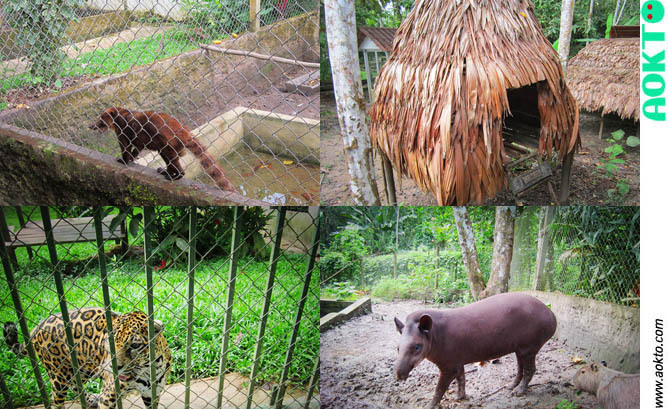 The admission fee is R$ 5 (I paid 5000 in pesos) There are some Amazing amazon animals and there are some bridges where you can walk right over the animal habitats. 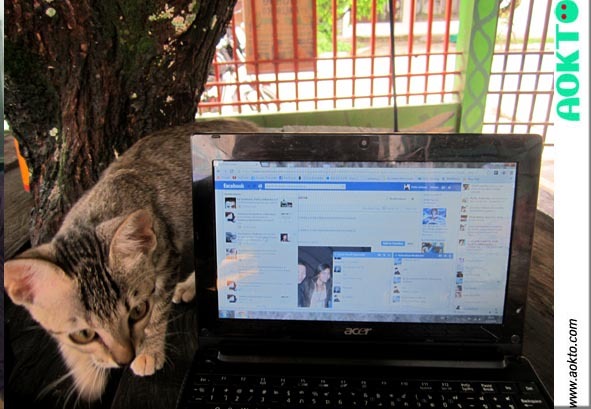 I was so lucky because the staff there opened me almost every animal cage just to take pictures with them. But I didn't get into all, just some cages. 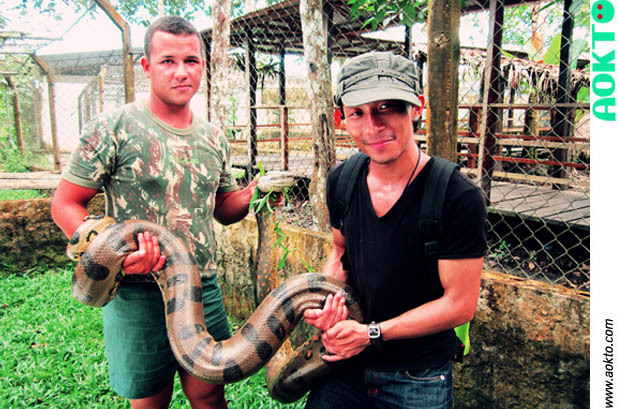 It was my lovely Anaconda!!!!!!!! Its skin looked moist but when I touched it, I got the same feeling as a chicken with no hair. It was really my first experience and I loved it!! See !! how good they are in Football!! 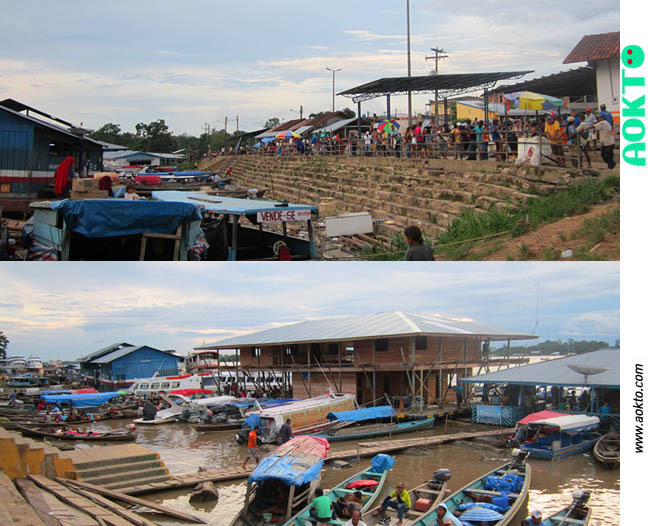 Another Interesting place where I visit In Tabatinga was the market and the habour. It's like a community centre where they come to party and relax after the hard work In the day time. The lands have been inhabited since long time, but the first Portugues settlement was founded in the 18th century as a military outpost.There was a conflict with other 2 countries and finally bilateral agreement was signed in 1934, creating a demilitarized zone around this area. 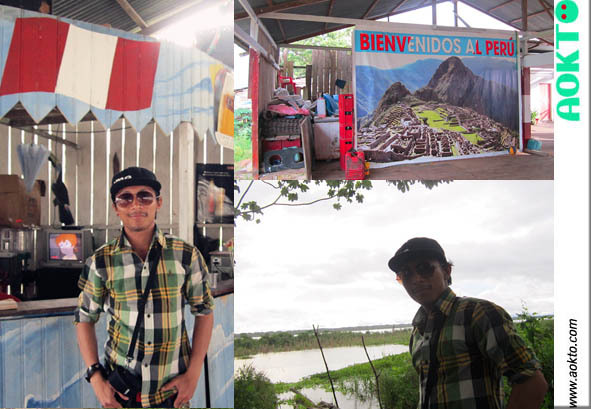 Another place where I visited was the Santa Rosa in Peru. 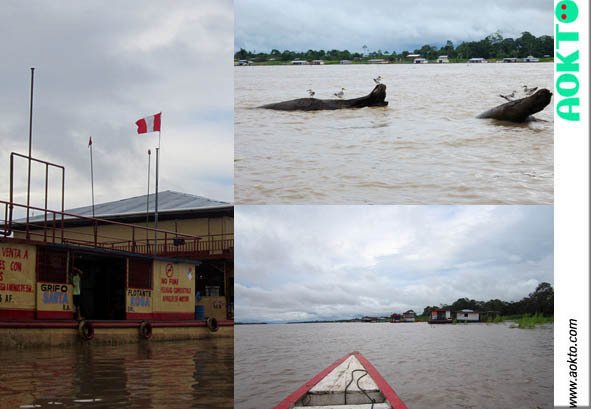 I took a small motorized boat at a little port In Leticia to the Peruvian town of Santa Rosa. It took me 20 miniutes from Leticia because the boat stopped at Tabatinga to wait for passengers like 10 minutes. This place was suggested by german friends who lived with me at the same hostel. It wasn't Interesting much visiting another town but the exciting moment was on the way on the boat to the Island. 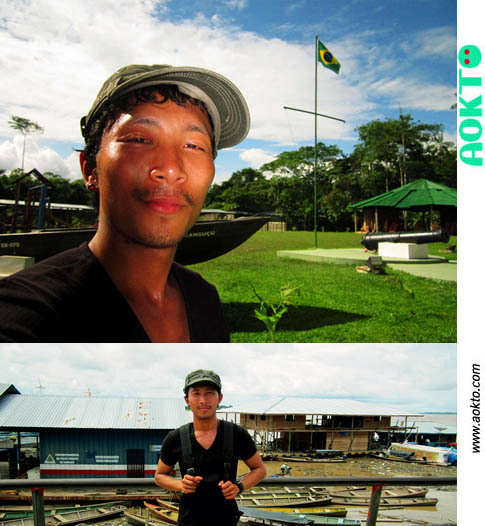 ^^^^ Above picture : Friends who I met In Leticia, I still keep contact with them because they are now my friends. This Island is too small , you can walk over this small Island by foot except the some places that you need special boots to walk through a small forest. Santa rosa is the place where you can stamp your passport in order to get to Peru. 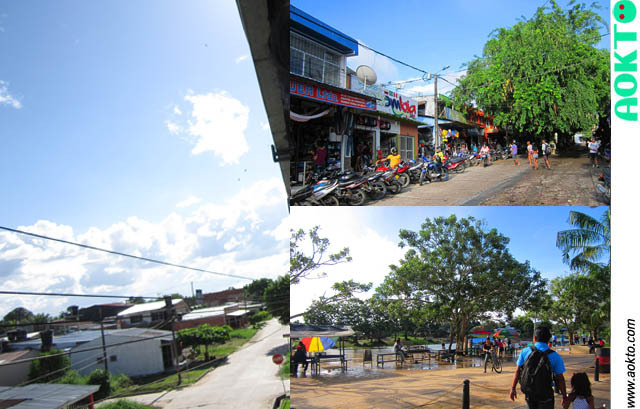 Another famous Amazon town of Peru is called "Iquitos" It takes like 2-3 days to be there. C'mon , It's once in a life time. You will start to see the Peruvian side by Flags that decorated in every house. The view was really good. Damn sad ! When i saw this picture ,I wanted go to Machu pichu. Although, I didn't manage to make a whole Amazon trip but It was really a great trip and It gave me a new perspective of life. That's why I never stop traveling to explore things I've never seen In life. Plus It's the best way for me to make a lot of friends. I'm just hoping that I would have a chance to explore more In Peru, Chile ,Argentina and Brazil. I knew It will take me a very long time to come back here. Anyway, I believe I can do it as long as I'm still breathing . 1. Dont' fight : because you never know who you are dealing with. 2. Drug is dangerous : Don't act as a drug dealer or Involve with it. If you don't wanna get killed. 3. Don't stay too late at night : If you can't avoid it , Please go with someone. 4. 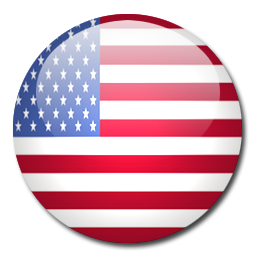 The first of all is to be safe , Don't try to bring yourself in the dangerous situation.